A series of lithographic prints by Ella Boker that explores the unseen, or unspoken mind through the expansive lens of the human condition. The show will run from January 10-16, 2019. 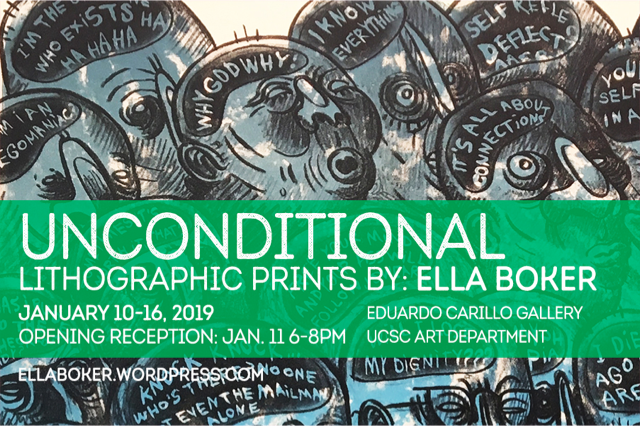 Come join us on Friday, January 11th for food and drinks at the Opening Reception at the Eduardo Carillo Gallery at Elena Baskin Visual Arts, UCSC.